Kyrgyzstan, a former member of the Soviet Union, was ranked 88 in the 2015 World Press Freedom Index. This index, published every year by Reporters Without Borders, aims to measure the freedom of information in 180 countries around the world. This ranking is up significantly from 97 in 2014, 106 in 2012, and 159 in 2010. Not only is the country’s individual progress improving, its progress relative to other countries formerly of the USSR has made tremendous bounds. Several of these other Soviet Union members, such as Kazakhstan, Uzbekistan, and Turkmenistan, rank near the latter, with individual rankings ranging from 157 to 178. This shows that the people of Kyrgyzstan are trying to break free from the oppressive and communist regimes that they have been under the thumb of for so long. 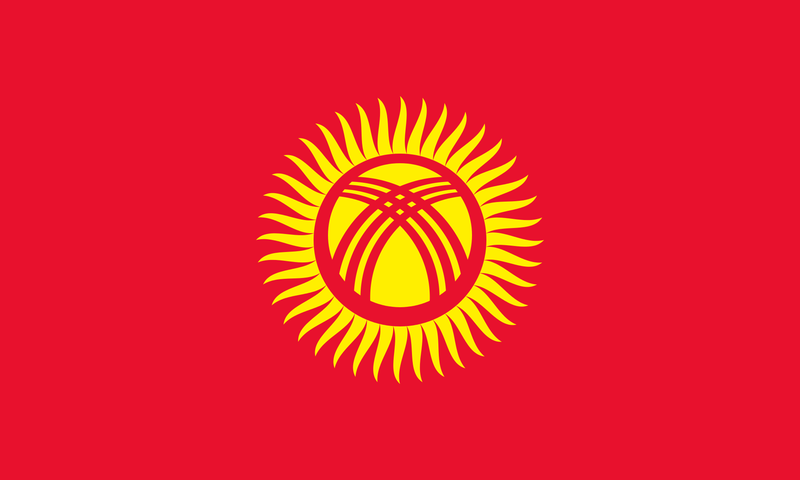 Kyrgyzstan is a landlocked country in central Asia, bordered by Kazakhstan, Uzbekistan, Tajikistan, and China. Though Kyrgyzstan was only developed as an independent country after the fall of the Soviet Union in 1991, the Kyrgyz people existed as autonomous tribes in the area for thousands of years. (Mitchell, 10) For most of their history, these tribes remained relatively independent. However, in the mid-17th century, this began to change. From then until their independence in 1991, the Kyrgyz people would be overrun and subjugated by neighboring imperialistic nations. The Mongol Oirats would first invade them in the 17th century, then by the Manchu Dynasty in the 18th century, and by the Uzbek Khanate of Kokand in the early 19th century. (Mitchell, 12) In the late 19th century, much of the area that made up the Kyrgyz region was ceded to Russia, and was made an official territory in 1876. (Mitchell, 12) In 1916, the Kyrgyz people rebelled against the tsar and the Russian regime, and were met with brutal and prolonged repression that continued far past the fall of the tsar. (Harmon, 7) This cruel suppression caused many of the Kyrgyz natives to retreat into the more mountainous regions of the territory, into Afghanistan, or into China. Shortly after the October Revolution and Soviet takeover in Russia, Soviet power became the dominant political force in Kyrgyzstan. In 1936, the area became a full union republic of the USSR called the Kirghiz Soviet Socialist Republic. (Harmon, 7) Under Soviet control, Kyrgyzstan experienced significant cultural, educational, economic, and social changes. However, this did not help ease any tensions between Russians and Kyrgyz. In 1985, when Mikhail Gorbachev was chosen as the new General Secretary of the Party of the Soviet Union, the First Secretary of the Communist Party of Kirghizia, Turdakun Usubaliyev, was replaced with Absamat Masaliyev. This new First Secretary allowed the press to create a more liberal publication, Literaturny Kyrgyzstan. (Mitchell, 17) In 1990, Gorbachev instituted a new policy that attempted to separate the party from the state by moving local power from the communist party leader in state to the newly created position, the Chairman of the Supreme Soviet. In the Kirghizia April 1990 election, Absamat Masaliyev, the then communist party leader, was voted into the new position by the parliament. Soon after the election, however, power began to slip away from the communists. (Mitchell, 17) On the May 25 that year, many opposition and anti-communist groups formed the Kyrgyzstan Democratic Movement. This movement rapidly developed into a substantial political force. On Oct. 27, 1990, another parliamentary election was held – however this election was for the newly created office of president. In an astounding victory, Askar Akayev, a reformist Communist Party member closely associated with the Democratic Movement, was elected to the new presidency, ousting the Communist Party Leader, Absamat Masaliyev. (Harmon, 8) Kirghizia became the first of the five republics in Soviet Central Asia to vote their established Communist leadership out of power. On Dec. 15, 1990, the parliament voted to change the republic’s name to the Republic of Kyrgyzstan. A month later, in January 1991, Akayev initiated new government structures and appointed new, more reform-oriented officials. On Aug. 31, 1991, following a failed Russian coup attempting to depose Akayev, the parliament of Kyrgyzstan declared independence from the Soviet Union. (Mitchell, 18) Kyrgyzstan then became the first of the five states in Soviet Central Asia to break away from the Soviet Union. Bakiyev’s presidency was defined by periods of political instability and failed attempts at turning the Kyrgyzstan system into an authoritarian government. Akayev’s era of corruption continued into Bakiyev’s term; throughout his tenure, he was accused of purchasing votes, eliminating opposition candidates, electoral fraud, and intimidation. In April 2010, these accusations and increase in authoritarian policies caused an outbreak of violent unrest. Thousands of protestors attempted to storm the main government building in the capital of Bishek in an endeavor to overthrow the corrupt administration. Riot police arrived and, after failing to disperse the crowd with tear gas, began to fire on the protestors, killing as many as 80 people and wounding hundreds more. The government declared a state of emergency as simultaneous protests broke out in three other major cities. By the morning of April 8, Bakiyev had fled the country. (Mitchell, 21) In his absence, unrest and looting continued; the interim government in place authorized the use of deadly force to attempt to restore order. Two months after Bakiyev’s exodus, ethnic violence between the Kyrgyz and Uzbeks erupted in the south, predominantly around Osh. The interim government was unable to control the violence, which resulted in thousands of deaths, and the dislocation of even more. Despite the rampant unrest, the planned October 2010 parliamentary elections proceeded without irregularity. A new coalition government was formed with Almazbek Atambayev as the Prime Minister. A year later, in October 2011, Atambayev won the presidential election, and continues to preside over the government today. In chapter 2, article 14 of the Constitution of the Kyrgyz Republic, passed in 1993, the rights to freedom of speech and press are granted. The article states, “Everyone has the right to freedom of thought, speech and press, as well as to unimpeded expression of these thoughts and beliefs. No one shall be coerced to expression of his/her opinions and beliefs.” (“Constitution of the…” 6) Additionally granted is the right to peaceful assembly. Article 25 states that, “Citizens of the Kyrgyz Republic have the right to assemble peacefully, without weapons and conduct political meetings, rallies, marches, demonstrations and picketing.” (“Constitution of the…” 8) Although Kyrgyzstan was established as an independent country in 1991, recorded events of free speech violations did not start to appear to the western sphere until the early 2000’s. On March 17, 2002, a group of political protestors were gunned down as they tried to march to the village of Kerben, calling for the release of a parliamentary member. (Anderson) Several similar incidents began to follow. On Nov. 16, 2002, approximately 100 protestors, who were calling for the resignation of President Akayev, were arrested while on their way to a rally. (“Kyrgyzstan Police…” NYT) These incidents, and several more like it, eventually led to the decline of the Akayev government and the eventual flight of the president. At the beginning of Bakiyev’s presidency, it appeared the country was shifting more towards embracing the ideals protecting free speech set forth in their constitution. In December 2005, several protests began in the eastern town of Tamga, pleading for promised reparations. In April and May of 2006, thousands of protestors gathered in the capital of Bishek, demanding an end to corruption. (The Associated Press) There were no brutal suppressions by police or other authoritative means. In fact, it even seemed like the government was listening to its citizens. This short period of ease ended abruptly however, in April of 2007 when police began to beat peaceful protestors in Bishek, and detained at least 100 of them. This event would initiate a new period of suppressed speech and protest that continues to this day. On a somewhat different note, in March of 2009, the Kyrgyzstan parliament passed a law banning headscarves from school in an attempt to protect school children from religious influence. This, however, was seen as a restriction on free expression. Today, there are several more bills and laws similar to this. The free press violations in Kyrgyzstan very closely parallel the free speech violations. Every time there was political unrest and suppression of protests, journalists were arrested or beaten and newspapers were shut down. In 2003, the opposition daily paper Moya Stolitsa, which had regularly denounced corruption within the government, closed due to bankruptcy from the several libel and defamation suits brought about by government officials. Libel, in Kyrgyzstan, is defined as “dissemination of false information, defaming honor and dignity of other entity or undermining his reputation.” This kind of government control of the media continued to occur until 2011, when Kyrgyzstan decriminalized libel. In 2005, before the legislative elections that year, the Akayev administration attempted to control media facets by cutting off their electrical supply. Additionally opposition websites were blocked on the days leading up to the election. These incidents contributed to the outrage that ended with Akayev fleeing the country. However, when Bakiyev gained power, the attacks against media outlets did not stop. In January 2006, Bakiyev attempted to make the state a majority shareholder in several broadcast groups, and was moderately successful. On June 4, 2008, Bakiyev signed a law giving him the power to appoint the executive director of state-run television and radio. Previous to this, efforts were being made to make several state-run channels public, however, with this new law these efforts seemed wasted. In 2009 and 2010 Kyrgyzstan experienced a large increase in the number of independent journalists violently harassed or killed. No serious investigations were carried out into any of these attacks. As a result, self-censorship began to take hold. These types of harassment and media control continue even today. Despite these occurrences, the freedom of the press in recent years has significantly improved in Kyrgyzstan. Since Bakiyev left the country in 2010, more and more media outlets are becoming publicly controlled, instead of state controlled, and there have been considerably fewer attacks on journalists and news offices. It is for these reasons that Kyrgyzstan’s World Press Freedom Index ranking has improved so much over the last few years. Kyrgyzstan has made tremendous bounds in terms of free speech and free press in relation to other previous members of the USSR. While in Kyrgyzstan independent journalists and news outlets are attacked for dissenting with the state approved opinion, in some of these other countries, an independent press doesn’t even exist. When compared to the United States and other western democratic nations, there are both similarities and major differences. When looking at free press, however, there are widespread distinctions between Kyrgyzstan and the United States. Take, for example, prior restraint. The United States Supreme Court has decided that prior restraint can only be exercised if the publication “injure[s] any other person in his rights, person, property, or reputation… disturb[s] the public peace, or attempt[s] to subvert the government.” (733) The Kyrgyzstan Constitution says nothing about prior restraint, nor have the courts of Kyrgyzstan made any decisions regarding prior restraint. Subsequently, the Kyrgyz government has made wide use of this anti-free press instrument. As stated previously, the government shut down several independent newspapers and news websites. This is most likely due to the fact that, for most of its history, the majority of the press in Kyrgyzstan has been state controlled. Recently there has been a shift away from state-controlled press. However, the press in the United States has always been the responsibility of the private sector. When compared to the United States, Kyrgyzstan has many improvements to be made in terms of free speech and free press. However, looking at the country’s past, as well as the current state of other former USSR members, improvement can be seen. Nevertheless, if the Kyrgyzstan parliament passes the anti-gay propaganda bill and the foreign agents bill, the country’s ideals of free speech and press will undoubtedly backslide. As Kyrgyzstan attempts to move towards democracy, they need to be taking steps toward free speech and free press, not away from it. Abazov, Rafis. Historical Dictionary of Kyrgyzstan. Lanham, MD: Scarecrow, 2004. Print. Allworth, Edward. “Kyrgyzstan.” The New Encyclopaedia Britannica. Chicago, IL: Encyclopaedia Britannica, 2010. N. pag. Print. Anderson, Elizabeth. “Kyrgyzstan: Government Crackdown on Peaceful Dissent.” Human Rights Watch. N.p., 17 May 2002. Web. Anderson, Elizabeth. “Kyrgyzstan: Police Kill Protestors in the South.” Human Rights Watch. N.p., 21 Mar. 2002. Web. The Associated Press. “Big Protests in Kyrgyzstan.” The New York Times. The New York Times, 29 Apr. 2006. Web. “Constitution of the Kyrgyz Republic.” Legislation Online. N.p., n.d. Web. Harmon, Daniel E. Kyrgyzstan. N.p. : Mason Crest, 2005. Print. Hiro, Dilip. Inside Central Asia: A Political and Cultural History of Uzbekistan, Turkmenistan, Kazakhstan, Kyrgyzstan, Tajikistan, Turkey, and Iran. New York: Overlook Duckworth, 2009. Print. Kalybekova, Asel. “Kyrgyzstan Re-Criminalizes Libel with Vague New Law.” EurasiaNet. N.p., 20 May 2014. Web. “Kyrgyzstan Must Reject Bills That Would Violate Speech and Association Rights – IFEX.” IFEX. N.p., n.d. Web. “Kyrgyzstan Police Crush Protest, Detaining 100.” The New York Times. The New York Times, 16 Nov. 2002. Web. “Legislation Raises Prospect of Prison Sentences for Media Offences – Reporters Without Borders.” Reporters Without Borders. N.p., 24 Apr. 2014. Web. Mitchell, Laurence. “Background Information.” Kyrgyzstan. 3rd ed. Guilford: Globe Pequot, 2015. 3-33. Print. Wilensky-lanford, Ethan. “Thousands Protest Government Corruption in Kyrgyzstan.” The New York Times. The New York Times, 27 May 2006. Web. Wilkey, Robin. “UC Davis Pepper Spray Video At Occupy Protest Launches Probe By University (VIDEO).” The Huffington Post. TheHuffingtonPost.com, 19 Nov. 2011. Web. Williams, Hugh. “Kyrgyzstan: Backsliding on Rights.” Human Rights Watch. N.p., n.d. Web.